Professor Megan Kate Nelson will present her book, Ruin Nation. Professor Nelson is a lecturer in history and literature. She has taught American history and American studies at Texas Tech University, Cal State Fullerton, Harvard University, and Brown University. She is a writer and cultural critic. 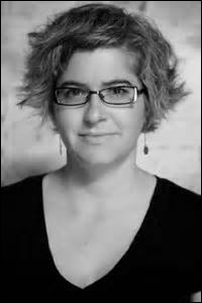 Based in Lincoln, Massachusetts, she writes for the New York Times Disunion blog and Civil War Times, and in addition to Ruin Nation, she is the author of Trembling Earth: A Cultural History of the Okefenokee Swamp. She received her Ph.D. in American Studies from the University of Iowa in 2002. She presented her work as part of the Boston Environmental History Seminar Series at the Massachusetts Historical Society, the Weirding the War Conference at the University of Georgia, and the Ruins and Antiquities in 19th-Century America conference at the Huntington Library in Pasadena, California.